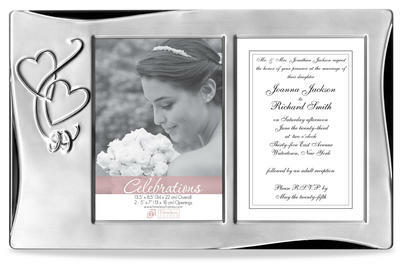 Silver hearts frame in the two 5x7 openings. An invitation and photo of your wedding make for a great display. This frame is made from Aluminum.